Exclusive Cyberman Postcard for Pre-Booked Tickets. 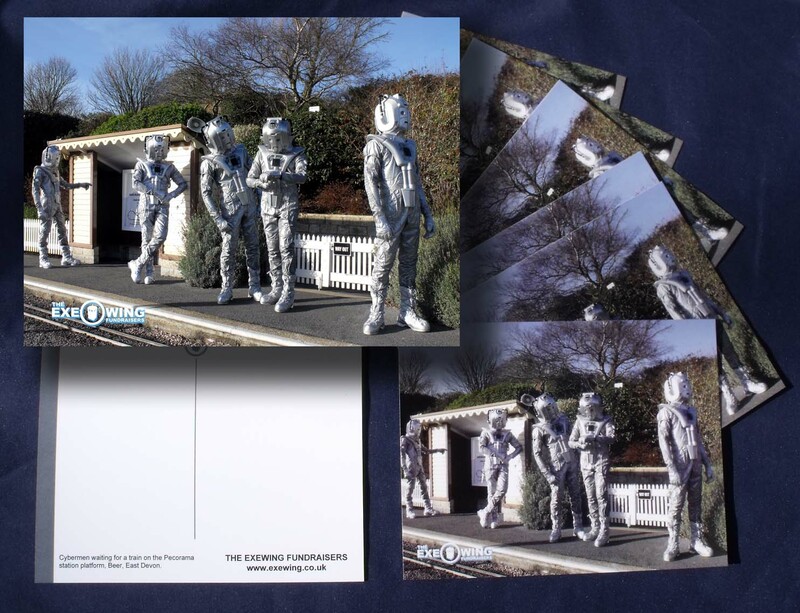 These fantastic Exewing Cybermen Postcards will be given ‘exclusively’ to attendee’s who pre-book tickets for the Exewing Sci-Fi Day at Pecorama on Sunday June 2013. Exewing Sci-Fi Day Tickets are now on sale and can be bought via the website here, or by post by printing off the application form here.